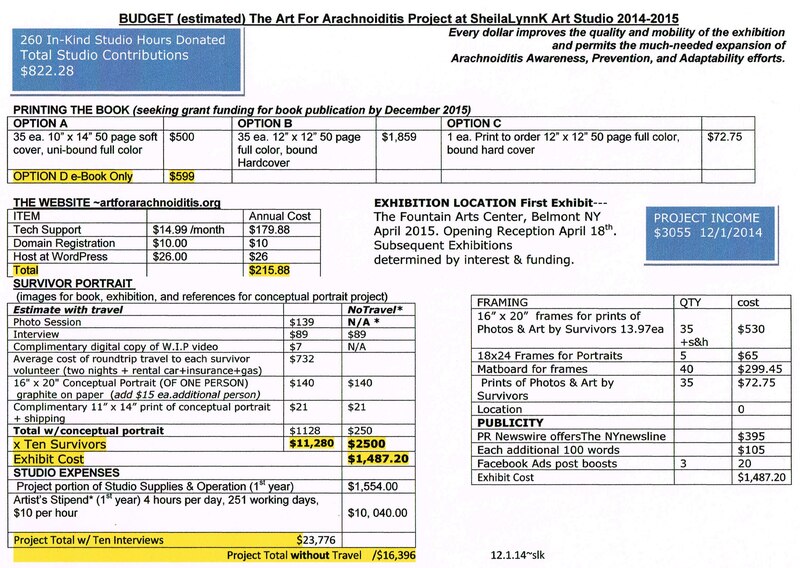 Funds are housed in the Art For Arachnoiditis Project account until they are applied to project expenses. The estimated budget is determined by a best-estimate practice. The budget is adjusted as actual costs are applied. 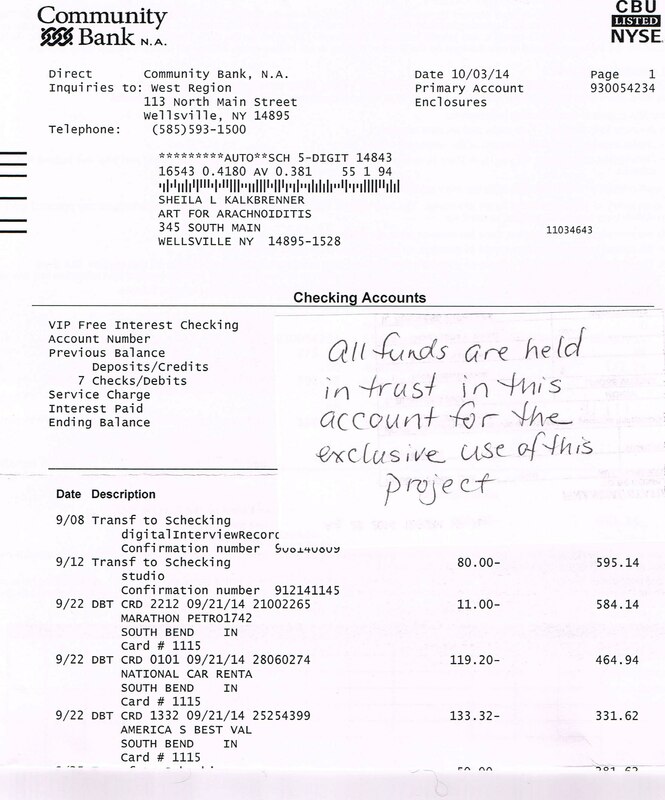 Travel expenses fluctuate with industry rates. 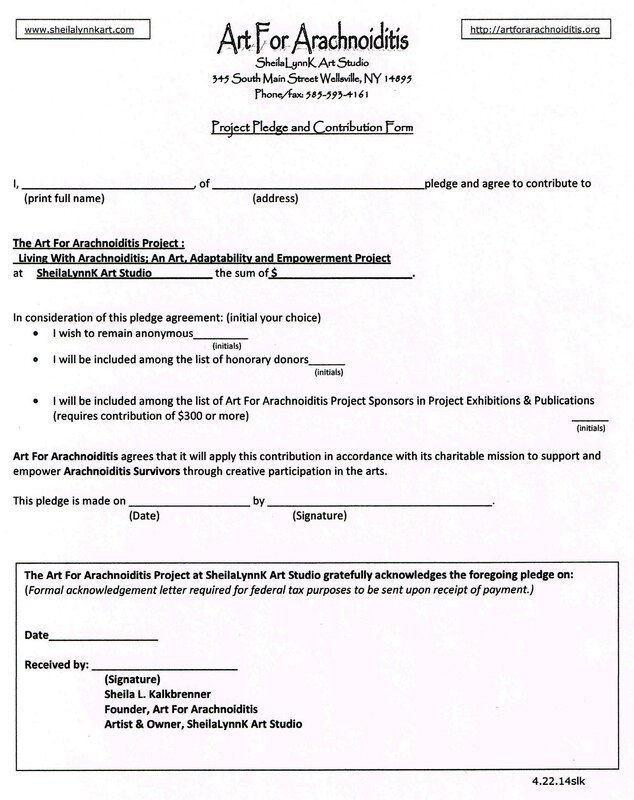 Please use this form if you are a business or individual who would like to make a monetary pledge to the Art For Arachnoiditis Project at SheilaLynnK Art Studio. Some businesses prefer to Become a Sponsor of the project. Other individuals prefer to buy merchandise to support the project.